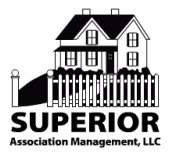 Superior Association Management was founded on the principal of providing the highest level of “Superior” hand's on customer-driven service to single-family, town home and condominium communities. Superior provides full service community association management in North and South Carolina. With over 150 years of combined Builder / Developer / Community Management experience, coupled with our commitment to strong customer service and technological skills, we have quickly gained the reputation as one of the best in the business. Our team of experienced & dedicated professionals manages all aspects of your community's needs: from enforcement of the covenants and restrictions, to maintenance of neighborhood assets and financial management. Superior has the skills and experience required to meet or exceed your community's needs. Leveraging best practices and hands-on expertise in all phases of property management, Superior offers its partner communities the same professional, personalized service regardless of community size – from the 6 unit in-fill townhome development to the community consisting of several hundred homes in the suburbs. Driven by the unrelenting goal to deliver personalized customer service, Superior provides a range of value-added property management services, resources and technology. Superior understands that the communities we manage are the places people call home; they are private sanctuaries in our vibrant city. Every owner deserves prompt and courteous attention to his or her unique needs. It's an awesome responsibility to serve the thousands of people who reside in the communities we manage, and one we take very seriously. Striving for continued excellence is our responsibility, with our success rooted in our dedication, integrity and commitment to our clients. Simply put, Superior manages communities with a partnership mentality – maximizing property values while maintaining an environment for the highest quality of life for our community's owners. On July 1, 2013 a new law went into effect. It provides for a completely voluntary process by which HOAs and homeowners can agree to mediate legal disputes. The bill is codified in new statute 7A-38.3F. Chapter 7A is the chapter of our laws dealing with judicial matters – so be aware that while this is an HOA law, it is found in Chapter 7A and not in Chapter 47F (the Planned Community Act) or 47C (the Condominium Act). The bill provides that HOAs and homeowners can agree to mediate a dispute, although neither is required to and either can decline to do so. If they do agree to do so, then the mediation is handled in the same way as any other mediation, which can result in a legally-binding settlement – again, if both parties agree. The new law does not apply to disputes regarding payment of assessments, so those now cannot be mediated even though they could have been before.